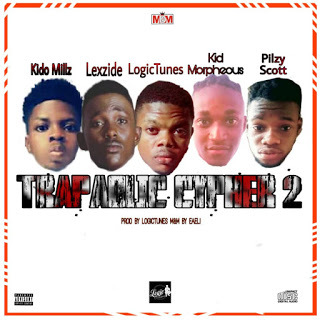 MDM records has released it Traopaolic Cypher 2 With the Making of Hot Five Rapppers "The Trapaolic Mafia Gang"
(Kido milz , Lexzide , LogicTunes , kid morpheous , pilzy Scott) it has been fire Back to Back , As No space to breath a South African Rapper also featured on it. Production credit was by The Amazing producer LogicTunes. Update your playlist and listen to it.